The human body heals in the most magnificent ways and is designed to heal and to regenerate. Cells are constantly dying and being recreated. Conventional wisdom, not long ago, told us that brain cells cannot regenerate. Today we know that brain cells do regenerate. We are regenerative beings. Whether it is our mind, our psyche or our body, we are designed to regenerate and to transform. The body's ability to regenerate our neurological cells, can be adversely affected by the environment, the individual's lifestyle, emotional stress and/or other factors. The toxicity of the environment, high levels of stress, and poor lifestyle choices contribute to the degeneration of our bodies and minds, opening the way for Chronic Disease, fatigue, brain fog and other conditions that negatively affect the body's immune system and regenerative powers. Come and learn how our internationally recognized speakers helped patients“beat the odds” by removing the impediments to regeneration. The established medical complex relies upon pharmaceutical drugs but these drugs generally cause other issues for the body, limiting the long term benefit they may initially have shown. Integrative medicine focuses on the whole person and attempts to remove and/or alleviate the obstacles present in the patient's life so that the body can heal itself, as it was designed to do. Our presenters bring real world success to the stage with them to share with you. Don't miss this opportunity to meet them and learn from their experience and expertise. Integrative health professionals have a different perspective, understanding, and belief. 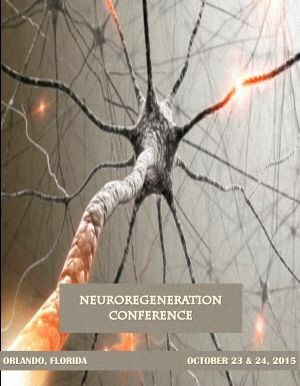 The Professors at this conference will show instead how, in most cases, the human brain & nervous system can be regenerated and restored to proper function. Come learn how to incorporate these techniques in your own practice for the benefit of your patients.